e-news 12.1228 » Amy McConnell & William Sperandei Quintet plus Don Francks & Friends @ Hugh's Room, New Year's Eve Comedy Extravaganza hosted by Harland Williams, BACHARACKATTACK: A Tribute To The Music Of Burt Bacharach & Hal David, Helmut Lipsky In Concert and Jaymz Bee's 50th Birthday Week!. client alert 12.1221 » ITLOS grants request for provisional measures in the "ARA LIBERTAD" case (Argentina v. Ghana). e-news 12.1220 » Happy Holidays from the Aangen Community Centre. 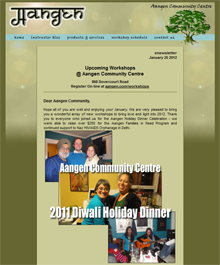 e-news 12.1212 » Upcoming Workshops @ Aangen Community Centre. e-news 12.1210 » A Warm Farewell from Cajú and Mario Cassini. e-news 12.1205 » Scarlett Jane and The Weber Brothers, Christmas Kiss with Diana Panton, The New Years Eve Comedy Extravaganza @ Massey Hall, Jane Bunnett & The Spirits of Havana and Batucada Carioca Holiday Samba Party @ Lula Lounge. client alert 12.1127 » Tribunal rejects challenge to expert who received sensitive information from the Claimants and subsequently became an expert for the Respondent in the same arbitration. e-news 12.1122 » Soul Drums Black Tag Daze!! 2 days only!! 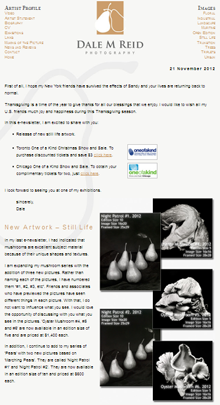 Friday November 23 and Saturday November 24.
e-newsletter » Upcoming exhibitions and news. 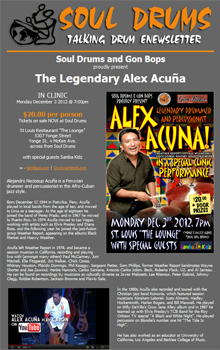 e-news 12.1119 » Soul Drums and Gon Bops proudly present The Legendary Alex Acuña. e-news 12.1119 » Upcoming Workshops @ Aangen Community Centre. 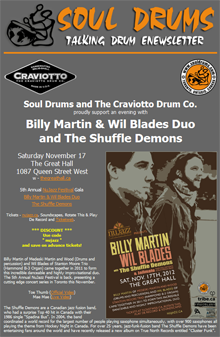 e-news 12.1109 » Soul Drums and The Craviotto Drum Co. proudly support an evening with Billy Martin & Wil Blades Duo and The Shuffle Demons. e-news 12.1029 » Upcoming Workshops @ Aangen Community Centre. e-news 12.1025 » Drum Circle Training and O.M.E.A. Conference Clinic Discounts! e-news 12.1025 » NEWSAPALOOZA: Battle Of The Media Bands, PAMALOT! CD Launch, William Sperandei and Amy McConnell STEALING GENIUS CD Launch, Brian Barlow Big Band Tribute To Count Basie, Sinfonia: Anastasia Rizikov, Jazz Samba: A Tribute To Stan Getz And Charlie Byrd, Alain Pérez - Direct from Madrid and JAZZ.FM91 Fund Drive. e-news 12.1011 » Upcoming Workshops @ Aangen Community Centre. Autumn enewsletter 12.1009 » United States Court of Appeals’ decision to vacate arbitral award causes controversy, Jurisdiction over CAFTA claims declined by Tribunal in Mining Dispute with El Salvador, Former President of Liberia sentenced to 50 years for War Crimes and Crimes against Humanity, Commission on the Limits of the Continental Shelf issues recommendations on Japan’s submission, News In Brief and Firm News..
e-news 12.1001 » Barbra Lica Launch Party for her debut CD "That’s What I Do", Ray Jessel @ Hugh’s Room, To New Orleans With Love... starring Kevin Clark!, Toronto Zombie Walk, Sly Blue CD Launch for "Edge Of The World" @ Lula Lounge, and Toronto West Halloween Fest (a charity event for St. Joseph’s Hospital). e-news 12.0927 » Jamie’s Year-End Inventory Blowout!!!. e-news 12.0910 » Toronto Internatinal Film Festival (TIFF), JAZZ.FM91 Sound Of Jazz Concert Series and JAZZ.FM91 Cabaret Series at Hugh’s Room). e-news 12.0910 » Upcoming Workshops @ Aangen Community Centre. 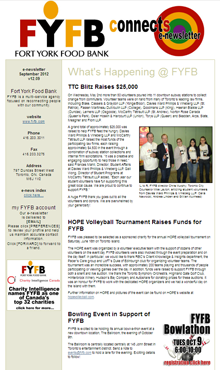 e-news 12.0907 » September BackBeat. e-news 12.0821 » Upcoming Workshops @ Aangen Community Centre. client alert 12.0814 » International Court of Justice issues judgment on the questions relating to the obligation to prosecute or extradite (Belgium v. Senegal). 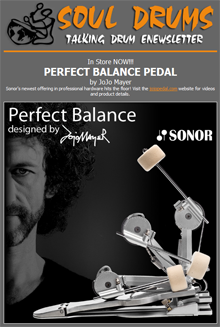 e-news 12.0807 » Sonor PERFECT BALANCE PEDAL by JoJo Mayer. 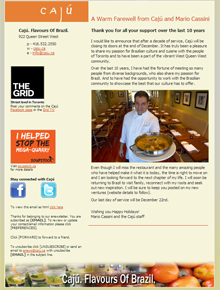 e-news 12.0801 » Special events @ popular downtown Toronto restaurant. client alert 12.0727 » European Commission proposes Regulation to manage financial responsibility flowing from investor-State disputes under international agreements to which the European Union is party. e-news 12.0717 » Bonzai Suzuki, Fifth Annual Toronto Burlesque Festival, Desiree Productions presents: NEW YORK 77 Blue Mercury Coup + DJ Steve Rock, Shuffle Demons CD Launch Party for "Cluster Funk", PAMALOT: A live CD recording and concert, Electric-Eclectics Festival (EE7) and The Harbord Street Jazz Festival. 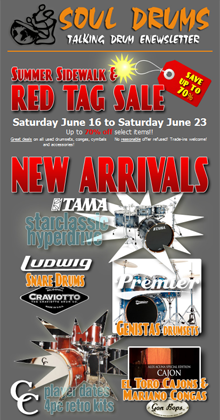 e-news 12.0703 » Summer Drummer series. e-news 12.0628 » June Garber with The George Lake Big Band, Genevieve Marentette Quartet, The Robert Scott Trio: A Unison Fund Benefit Concert, PAMALOT: Live Recording, and Electric-Eclectics Festival (EE7). e-newsletter » Upcoming exhibitions and news. 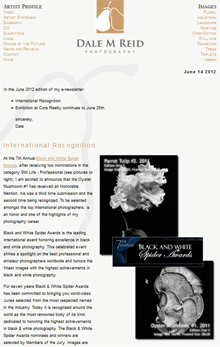 Artist receives two nominations in the category Still Life - Professional at the 2012 Black and White Spider Awards. 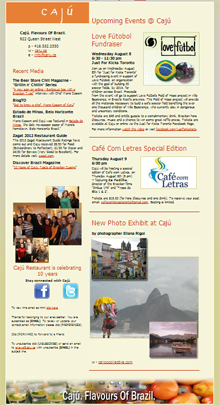 e-news 12.0612 » Special events on Saturday June 16 2012. Dad Drums for Free. Summer Sidewalk and Red Tag Sale. UFiP Taste Test. New Arrivals. e-news 12.0608 » UFiP Cymbal Taste Test. Saturday June 16 2012.
e-news 12.0606 » Upcoming Workshops @ Aangen Community Centre. e-news 12.0601 » Luminato, Haim Goldenberg Live on Stage, TD Toronto Jazz Festival, Genevieve Takes Toronto, SCOTIABANK CHIN International Picnic 2012, and Student Crossing Borders presents: Raise The Roof for Riverton. e-news 12.0503 » Tycoon Daze In store Latin Explosion Performance. Saturday May 12 2012. Spring enewsletter 12.0503 » International Criminal Court delivers first-ever Judgment in Lubanga Case, Challenges to arbitrators under the ICSID Convention - Increasingly Common but Success remains Improbable, Jurisdiction Upheld by Arbitral Tribunal in Chevron's Dispute with Ecuador, News In Brief and Firm News. e-news 12.0501 » JAZZ.FM91 Spring Fund Drive, George Takai and the Toronto Symphony Orchestra @ Roy Thomson Hall, Jane's Walk, LulaWorld 2012 @ Lula Lounge, Word Jazz@ NOW Lounge, and The B-52s @ Seneca Allegany Casino. e-news 12.0427 » Upcoming Workshops @ Aangen Community Centre. 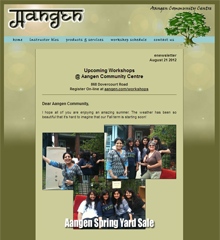 e-news 12.0411 » Upcoming Workshops @ Aangen Community Centre. e-news 12.0329 » Adam Makowicz, Tony Quarrington & Friends, BEE DAY 2012 - A Benefit Concert for UNISON, Sly Blue, Bob Newhart @ Roy Thomson Hall, A night for Billy Bryans @ Lula Lounge, and Lyne Tremblay @ The Blue Dot Gallery. e-news 12.0323 » Upcoming Workshops @ Aangen Community Centre. client alert 12.0322 » ITLOS delimits maritime boundary between Bangladesh and Myanmar in the Bay of Bengal. e-news 12.0320 » Attention teachers and Corporate Event Planners. client alert 12.0312 » New Fast Track Arbitration Rules launched by the Kuala Lumpur Regional Centre for Arbitration. 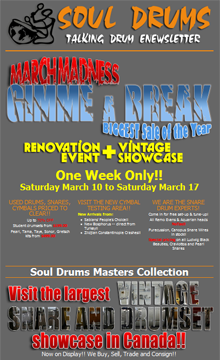 e-news 12.0308 » March Madness -- Gimme a Break-Biggest Sale of the Year -- Renovation Event -- Vintage Drum Showcase!!. e-news 12.0308 » Upcoming Workshops @ Aangen Community Centre. e-news 12.0229. the LEAP YEAR edition » Speakeasy Le Coquettes present: Speakeasy, Monkey Toast: The Improvised Talk Show, Havana Nights @ The Old Mill Inn, Ian Shaw @ Hugh’s Room, Canadian Music Week, Joey DeFrancesco’s Tribute to Jimmy Smith, and Adam Makowicz. 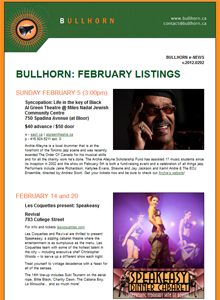 e-news 12.0222 » Upcoming Workshops @ Aangen Community Centre. client alert 12.0220 » International Court of Justice upholds Germany's Jurisdictional Immunities against Italy. e-news 12.0218 » Come Celebrate Family Day & Red Tag Sale. e-news 12.0208 » Upcoming Workshops @ Aangen Community Centre. e-news 12.0202 » Dave Young / Terry Promane Octet @ Hugh’s Room, Jane Harbury’s Discoveries featuring: David Krystal, Rory Jordan-Stevens, Jordana Talsky and Anastasia Rizikov, and Lew Tabakin meets The JAZZ.FM91 Youth Big Band. 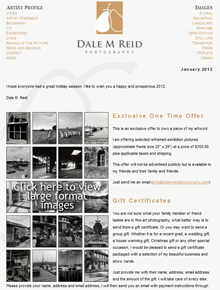 Winter enewsletter 12.0131 » Volterra Fietta Winter enewsletter. 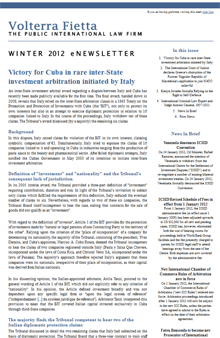 Victory for Cuba in rare inter-State investment arbitration initiated by Italy, The International Court of Justice declares Greece's obstruction of the Former Yugoslav Republic of Macedonia's application to join NATO unlawful, Kenya Invades Somalia Relying on the Right to Self-Defence, International Criminal Law Expert and Judge Antonio Cassese, 1937-2011, News In Brief and Firm News. e-news 12.0125 » Upcoming Workshops @ Aangen Community Centre. e-news 12.0107 » Upcoming Workshops @ Aangen Community Centre.